For the last few years, I have really become addicted to Greek Salads. 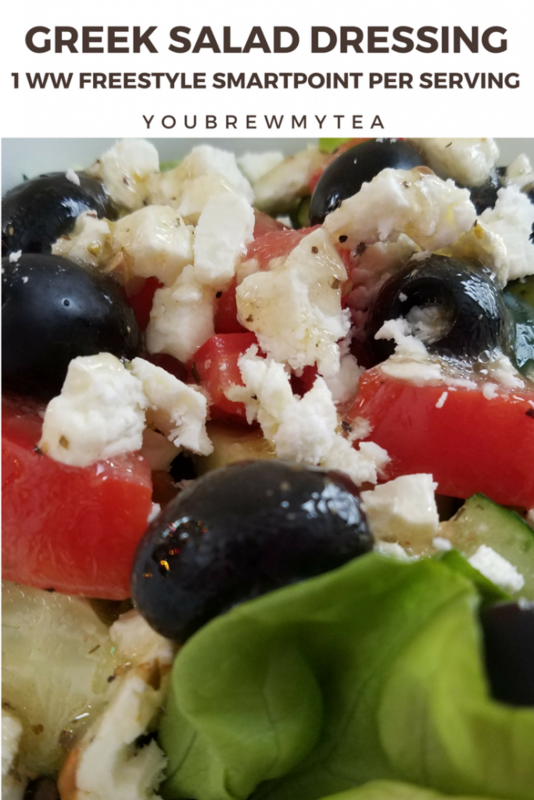 This Low-Fat Greek Salad Dressing Recipe flavorful option that is healthier and makes me feel like I am indulging. This recipe is one of our favorites for creating a delicious salad with just a few ingredients in the dressing. This post contains affiliate links. If you make a purchase through these links, I will earn a small commission. 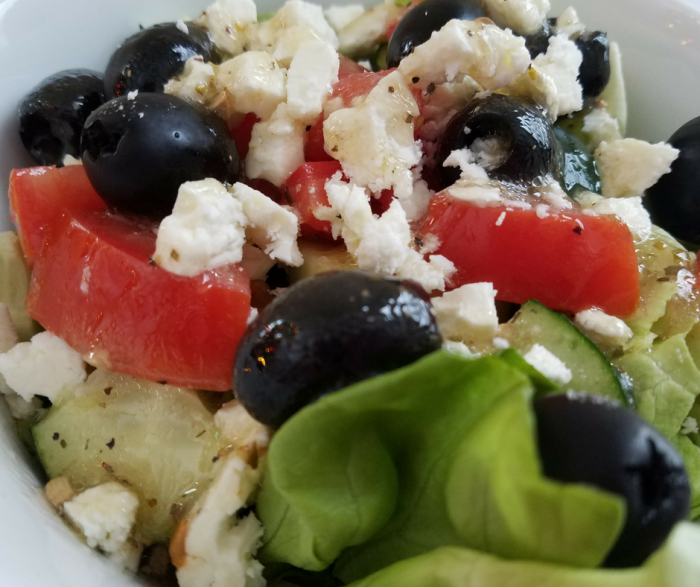 For my Greek salad, I use a bed of butter blend or iceberg lettuce, tomatoes, olives, cucumber, and sometimes pepper rings. You could really add any vegetables that you want. I also may sprinkle a bit of extra fat-free Feta cheese on top of the salad for extra flavor. This dressing adds just what you need to create the moisture you want on a salad that is also full of flavor. You can mix this up by hand, but I find the texture smoother and better when I use a blender. We use our Ninja Auto iQ Blender for this, but any good blender will do the trick. I’ve also seen many who enjoyed using the Dressing Salad Shaker to create easy dressings that can be stored in that container at the same time. In a blender, combine all ingredients until blended smooth. 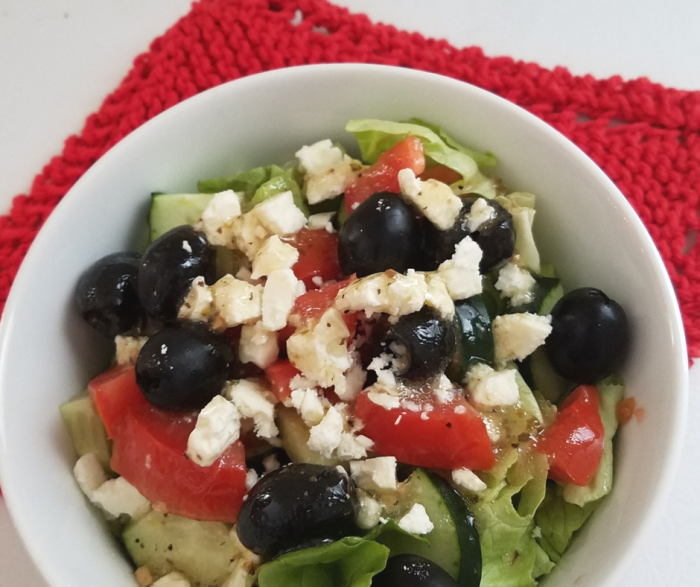 Making a homemade Greek salad dressing is a great way to stay within your points range for a favorite salad. With this low point option, you can easily add your favorite salad toppings like croutons, fried onions, seeds, or of course, more zero point options like grilled chicken, shrimp, or turkey breast. This is a great way to make a low point lunch that really satisfies your craving for a punch of flavor.